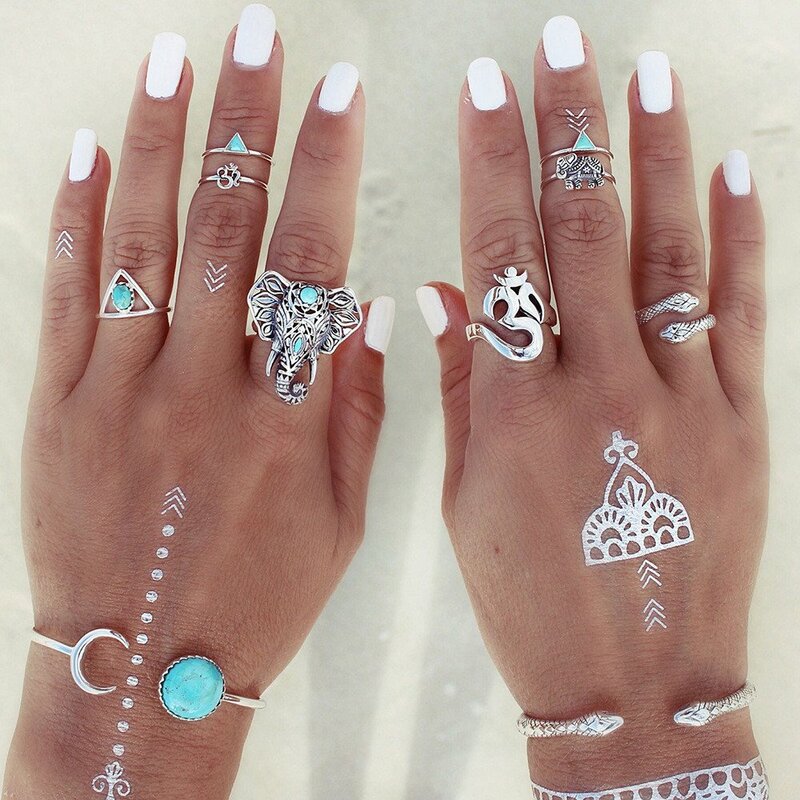 Channel your inner Boho chic with this boho style ring set. The perfect way to express your style. These rings come in a 8-piece set, with different sizes designed to fit each finger. Some MIDIs, some simple, and some gaudy to bring out that bohemian in you!